Virgin America is my airline of choice which is great because there are so many direct from DC options. Can't wait to see their new safety video on my flight. I try to ship most of my gifts to save room in my suitcase. But that means I need to wrap them all once I get home! I love the idea of an easy DIY wrapping paper like this, this or this option. Speaking of DIY and last minute, I've rounded up a few (seemingly) easy DIY gifts in case you still have a few gifts on your list. Just don't DIY a gift for the person who is the queen of the DIYs. You know who that person is in your life. Just get them a gift card and call it a day. As I love all things sparkle, I am OB-SESSED with this clutch from Kate Spade. My skin has been SO dry this winter, more so than any other winter, and I tried this lotion in my Birchbox. It is amazing and a must for anyone with dry skin like me! Travel safely, be merry and have a blessed holiday with your loved ones! 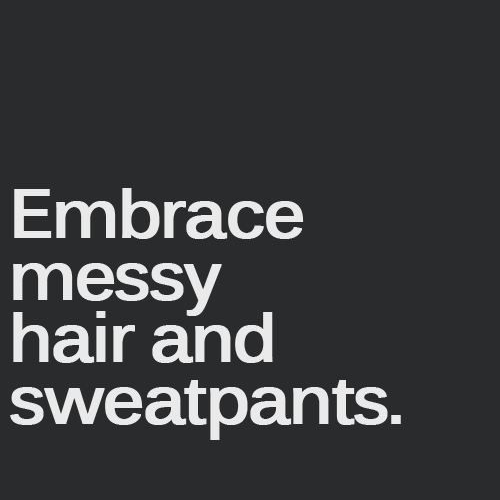 Still embracing the messy hair and sweatpants, even though my break is over. No shame!